Close to Christmas, I decided I wanted to make this unicorn block for my daughter. I have always been impressed with this amazing pattern but was intimidated by the complicated look of it... but one of my mantras is, "I can do hard things!" So I went for it and I am so glad I did. I used only scraps to make this beauty and it worked out so well. I separate my scraps by color but also have a completely different storage system for solid scraps that are mixed all together (it's very sophisticated: two big giant zip lock bags stuffed under my cutting table). As you can see, I used quite a bit of both solid and print scraps. I dug into stash for the silver asterisk fabric for the horn. Someone on IG mentioned they might frame a complicated paper pieced block rather than make it into a mini or a pillow- which is an awesome idea I wouldn't have thought up myself! On Christmas Eve, I drove to my nearby Michael's and grabbed the perfect 18" square white frame with a 50% off coupon. It was a great time saver and I already knew I didn't want this block suffering the abuse that a kids pillow gets around here. The whole theme of Charlotte's Christmas seemed to be unicorns. Oh to be four years old! 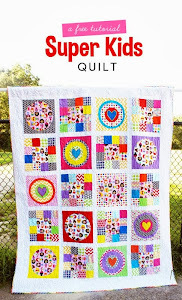 Last month I won a giveaway on the Scraptastic Tuesday linkup from Fluffy Sheep quilting and it didn't take me long to zero on these beauties from Dashwood Studio. These fabrics are so adorable and soft! Thanks for reading! 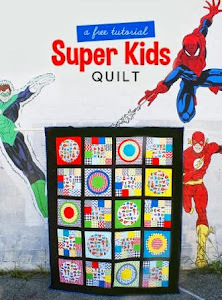 Linking up to Scraptastic Tuesday. Great work on the unicorn! And so pleased you were able to find the perfect sized frame! My niece went through a serious unicorn stage and had quite a collection! But none as nice as the one you made! It turned out great and what a keepsake she will have! I love the scrappy yellow background you used. Great use of that winning voucher! Love your scrappy unicorn and it looks like it totally was a Unicorn Christmas for a special young lady! Thanks for linking up to #scraptastictuesday!